If you think winter is bad here, you probably haven’t seen what’s been going on in Buffalo, New York. 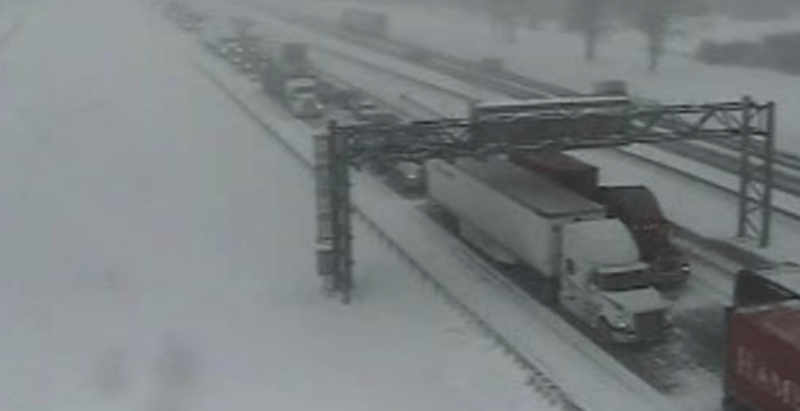 Treacherous weather conditions caused traffic to come to a halt as at least 75 cars piled up on the New York State Thruway on December 2. The Thruway is located about three hours south of Toronto. According to reports, at least one person was killed and dozens were seriously injured. This traffic jam looked seriously awful. Parts of the US east coast are currently being hit by awful winter storms resulting in blizzard conditions, and heavy snow. It’s no secret that the freezing conditions on Canada’s east coast have been less than pleasant. But after looking at this terrible pile-up we shouldn’t be complaining.